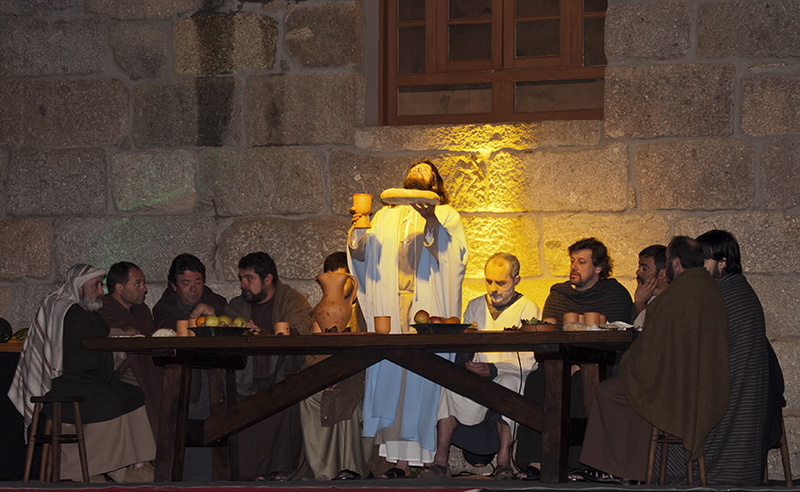 The staging of the Passion, Death and Resurrection of Christ that takes place in the small parish of Santa María de Paradela (Meis , Pontevedra) is a pleasant surprise for the dedication put into it, the care in choosing the costumes and the scenarios where the acts unfold. The quality of the actors’ performances succeeds in conveying to the public the deep sentiment of the Christian faith. On the initiative of the Holy Week and Easter Brotherhood, established in 1993, all the milestones that mark the hours before the death of Jesus Christ and his subsequent resurrection are carefully represented. The public participates actively, which contributes to giving even more realism to the scenes. Thus, the triumphal entry of Jesus into Jerusalem on the back of a donkey on Palm Sunday, the blessing of olive tree branches and the procession from Campo de Outeiro to the parish church is the first of a series of stagings which, alternated with the liturgical acts proper to these dates, occur on Maundy Thursday, Good Friday, Holy Saturday and Easter Sunday. 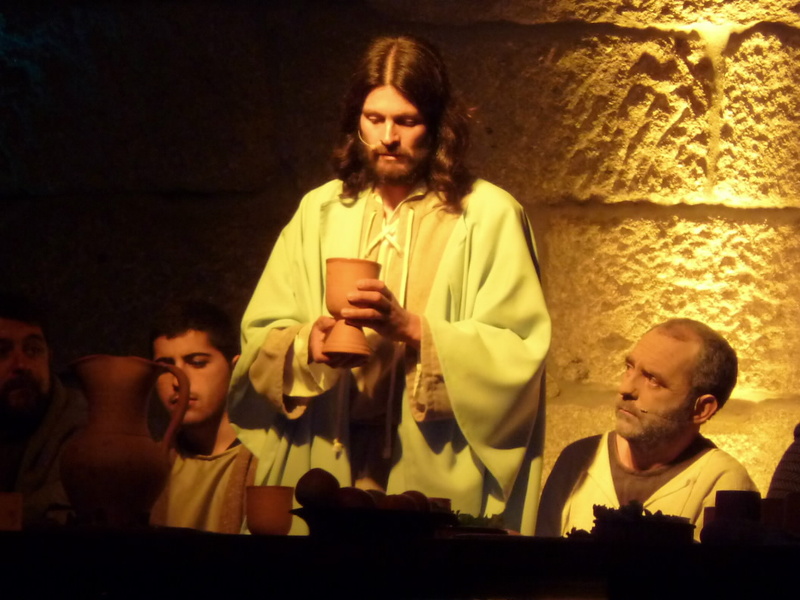 On Thursday night, after the liturgy, there is the staging of the Last Supper, the washing of feet, the arrest of Jesus and his trial before Caiaphas. 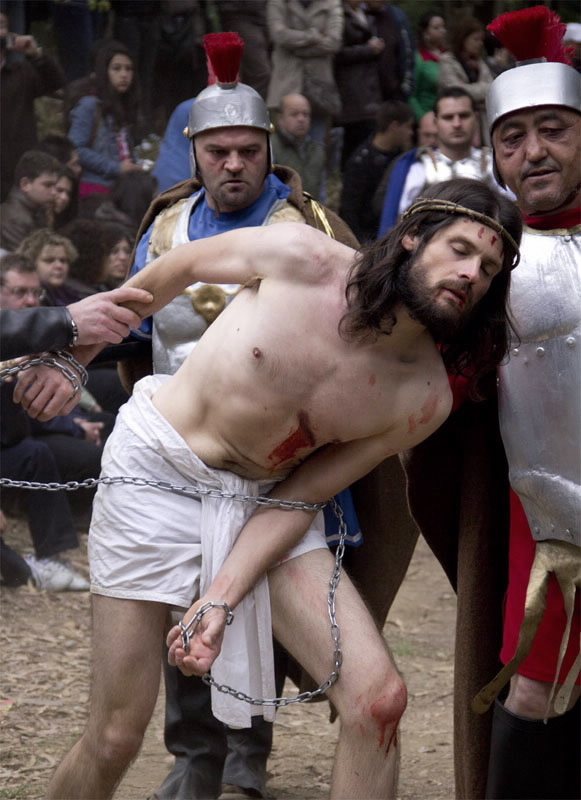 On Friday morning, neighbours and visitors gather in front of the lobby of the parish church to attend the staging of the trial of Jesus before Pontius Pilate and Herod and the flogging, and then participate in a realistic and emotional Way of the Cross to Mount Calvary, where the crucifixion is staged. At night, the removal of the nails is represented, followed by the Holy Burial procession to the parish church. 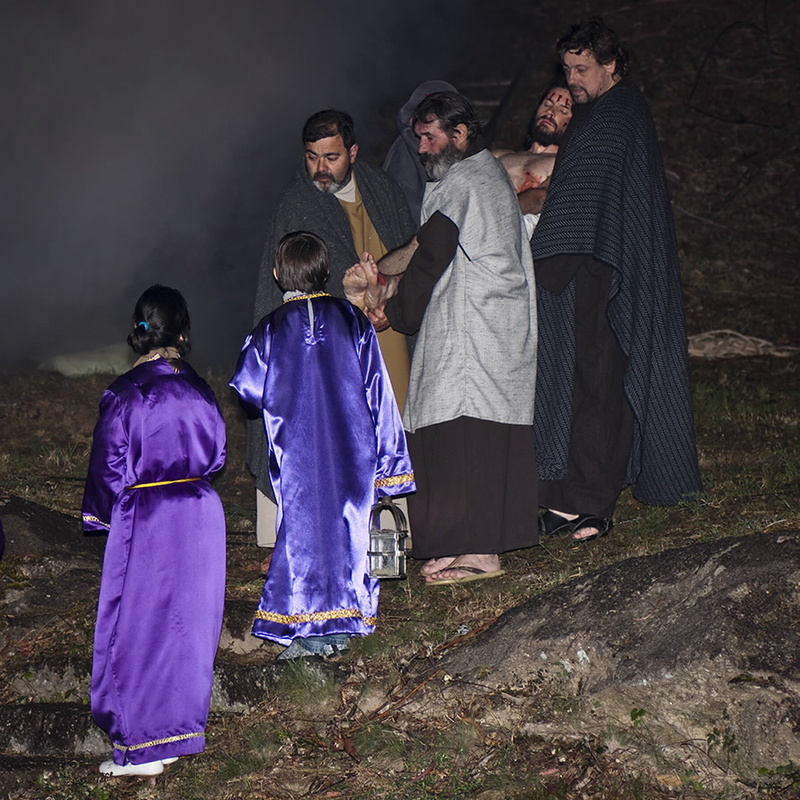 On Saturday, at midnight, the Resurrection Mass takes place in the parish church, where fire and water are blessed. At the end, free traditional Easter cake is distributed among the attendees. The whole town is back in front of the lobby of the church on Easter Sunday morning, where the Resurrection of Jesus is represented with the participation of young boys and girls. The festivities end after mass, with the procession to Campo de Outeiro, enlivened by a band, members of the Brotherhood, figures of the Sacred Heart of Jesus and the Virgin of the Assumption, patron saint of the parish, and all the characters that took part in the different stagings. 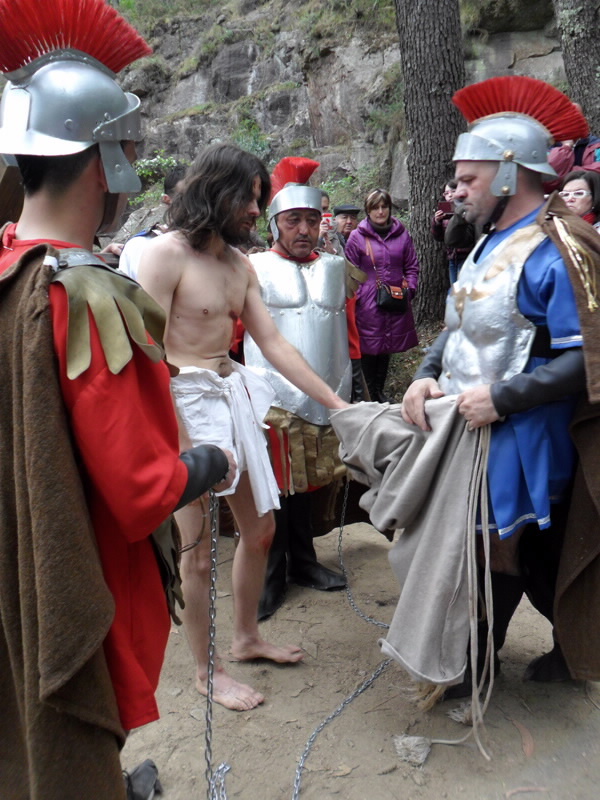 Jesus’ judgment, flagellation, passion and crucifixion on Mount Calvary.